The aforementioned sizes are the most practical and most economical for us and ultimately the purchaser because the thickness of the panel is designed to accommodate dimensional lumber which is needed for blocking around the rough openings, panel ends, and top/bottom plates. 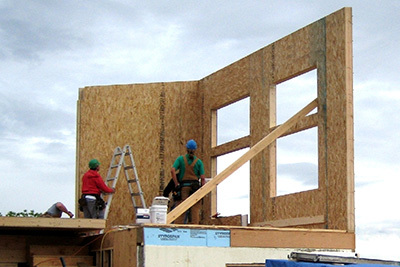 Please note that SIP walls are typically 3/8” – 5/8” thicker (depending on what exterior sheeting you commonly use) than a standard stick framed wall due to the interior OSB facing of the SIP. It is good practice to make your window/door supplier aware of this so they can adjust their jambs accordingly. *R-Values listed above are calculated at 50 degrees Fahrenheit (10 degrees Celsius) and include ½” drywall. The rigid EPS foam insulation used in EnerSmart SIPs actually performs better in colder temperatures. To learn more about SIP R-values, click here. While SIP roofs are still considered structural, there are limitations in the form of maximum spans we can achieve without any beams or other support. 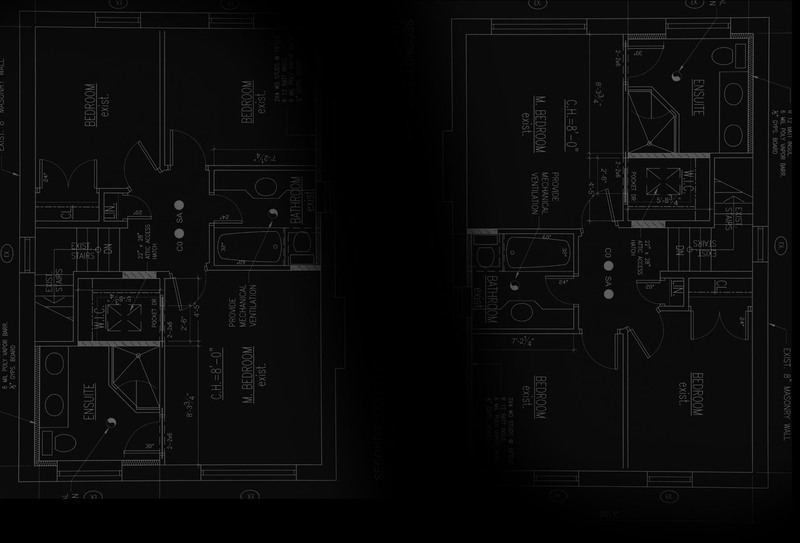 With the sizes listed above, we can span anywhere from 8’ to 12’, depending on variables like SIP thickness, roof pitch, snow loads in the area, roofing product being applied, etc. The alternative to providing beams or support underneath the roof panels is for us to press the structure right inside the panels. However, doing so adds thermal bridges to the panel which in turn affects the performance r-value and air-tightness of the roof. It also adds cost to the SIP. That being said, our customers who choose to do their roofs this way still stress that it is a better alternative to stick framing the roof and spray foaming it or using some other form of insulation. 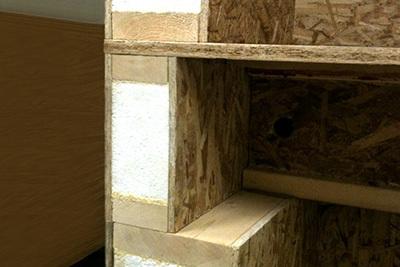 To learn more about how EnerSmart SIPs are made and what products are used, click here. 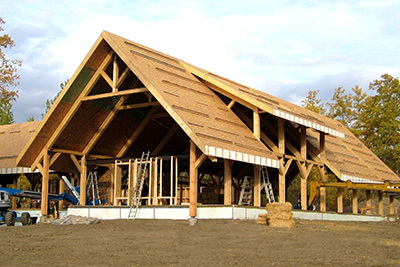 To learn more about how EnerSmart SIPs are made and what products are used, click here.